Update: CES is now over. Several new products were shown off. Be sure to read through the replies to learn about some of them. Expect an official post from @AnkerOfficial with many more details than we know right now sometime very soon. It’s looking likely we’ll hear about some new Anker products next week at CES. This shouldn't come as a surprise, as Anker has been at CES for the past few years, but nice to know nonetheless. 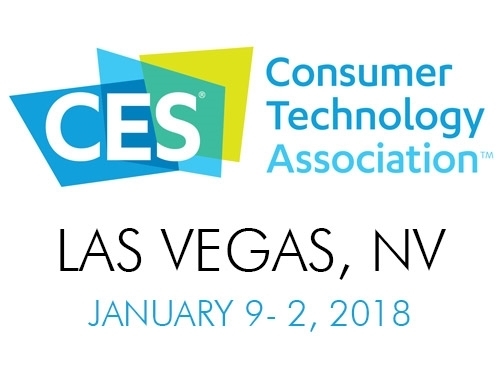 According to the CES website, it looks like we can expect to hear about products from a few key areas. It’s possible we’ll see new products from each of Anker’s five key brands: Anker (obviously), Eufy, Nebula, Roav, and Zolo. From this information, what excites me most is the high-end audio products! Furthermore, I think this will be another wonderful opportunity for Anker to introduce a slew of USB-C batteries, and possibly some with nothing but USB-C.
What do you hope to see from Anker at CES? And is anyone going?!?! What I would like to see is maybe a portable charger with an wall outlet so you can have the ability to charge a laptop or more. I also would like to see more usb-c options. I second this I can't wait to see what Anker has in store for 2018. The suspense is killing me! Yes yes yes. Security and more smart products are the way forward too. I am far too excited for more smart home products!! I will be sure to stop by the booth then! Yeah! This would be huge! Ear buds to rule them all! Long battery, HR and fitness monitor, noise canceling for sleeping, make phone calls in windy places, leap over all buildings, faster then a locomotive! Bose is working on sleeping ear buds wink wink. USB C Powerline+ II would be amazing! The high end audio excites me. A really high end Hi-Fi Zolo speaker would be awesome!